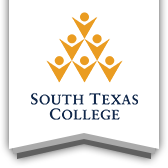 South Texas College provides Alternative Education Loans through the Texas Higher Education Coordinating Board (THECB) and Sallie Mae. These loans are intended for educational expenses. Please be aware that South Texas College does not participate in any type of Federal Title IV student loan program; Direct and FFEL Stafford Loans and Federal Perkins Loans are not an option at this institution. For more information about repayment, managing debt, interest rates, loan requirements, etc., please review Loan & Debt Management. The College Access Loan (CAL) Program provides an alternative type of educational loans to Texas students. Applicants do not have to demonstrate financial need and it may be used to cover all or part of a student's Expected Family Contribution (EFC). Apply Now! Receive a favorable credit evaluation or provide a cosigner who has good credit standing and meets other requirements. Please refer to www.hhloans.com for further information about eligible cosigners. College Access Loan Acknowledgement Form, Loan & Debt Management Form, and Statement of Selective Service Status Form (this form for male students only) must be submitted before funds can be disbursed to your account. If funds are received and you fail to submit these forms, funds will be refunded back to Texas Higher Education Coordinating Board (THECB) after Census date for the semester you are requesting loan and you will be responsible for any interest charges that are incurred for the time it takes funds to be received by THECB. Loan certification requests must be received by the Office of Student Financial Services by 5pm on census date of the semester for which the loan is being requested. Loans received after the deadline will not be certified. The Loan & Debt Management Form must be submitted before funds can be disbursed to your account. If funds are received and you fail to submit this form, funds will be refunded back to Sallie Mae after Census date for the semester you are requesting loan and you will be responsible for any interest charges that are incurred for the time it takes funds to be received by Sallie Mae. Unfortunately, it is difficult to give a specific timeline of the loan process. Many factors can affect when a student receives their loan including submitting an incomplete loan application, the loan requiring a cosigner and/or holidays (both federal and school). The estimated timeline for the loans is a minimum of 3 weeks for the Sallie Mae and a minimum of 4 weeks for CAL in order for the institution to receive funds. *Note: Both Sallie Mae & CAL require that a loan disbursement date be at least 9 business days after certification to allow for the borrower's 'Right to Cancel'. Once funds are received by the institution the Business Office needs to verify funds. The funds are usually verified within 3-5 business days but during peak times can take as long as 7 business days. After the student submits a completed loan application to the loan provider, the student will be placed on a "Certification Roster". Loan certifications are done once a week, usually at the end of the week. The certification process requires the school to review eligibility requirements. Just because the loan was approved by the servicer does not mean the student is meeting in-school eligibility requirements. Students are only eligible to receive one loan per semester. Even though student may apply for multiple loans and be approved by lender, the first loan that is received by our Institution will be the one to get certified. Click on "Financial Aid Status"
A message will appear saying "You have active messages" The word "message" is hyperlinked, please click on the link and this should take you to a message regarding your loan status. Students receiving a loan, in which the loan amount is in excess of their tuition, will receive a refund during the Final Refund Cycle. Loan students are not eligible to receive a book allowance. Please make prior arrangements for your books, if the only source of aid received is through a loan. If you are receiving a loan and plan to make changes to your schedule, please notify our office immediately. Changes can result in having your loan adjusted and/or canceled.